For intense sparkle that lasts, use Graftobian GlitterGlam Liquid Skin Sparkle. 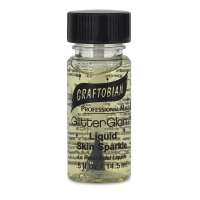 It's great on lips, above eyes, and on any other skin area. 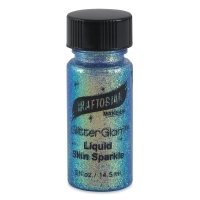 Because it's alcohol-free, the waterbased formula is safe and easier on skin than other glitter products. 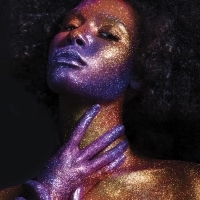 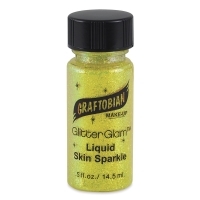 Once dry, GlitterGlam body glitter is super durable and sparkly. Each color is formulated for maximum visual impact and maximum shelf life. 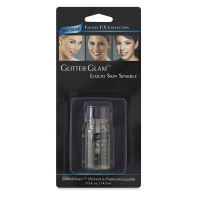 It works beautifully over lipstick. 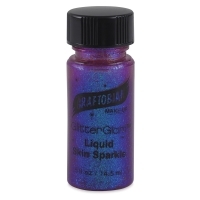 To create custom colors, you can use the Clear Mixing Base. 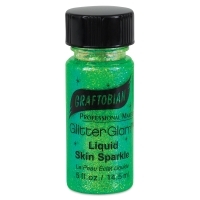 Just mix the transparent formula with any powdered glitter of your choosing. 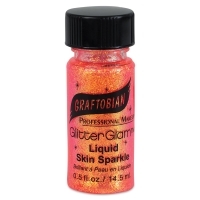 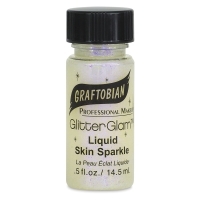 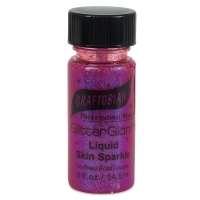 Graftobian GlitterGlam Liquid Skin Sparkle comes in 0.5 oz (14.5 ml) bottles. 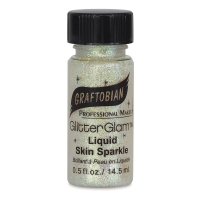 The lids have built-in brushes. ™ GlitterGlam is a trademark.